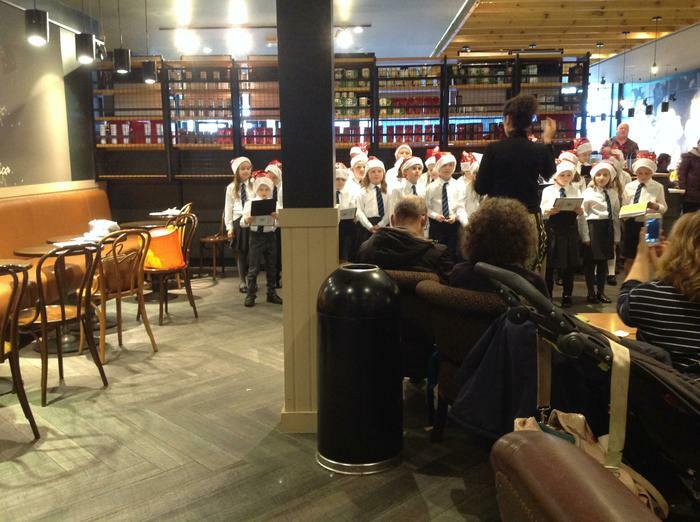 Well done to our choir made up of pupils from P4,5 and 6 who performed so very well at Starbucks, Antrim on Thursday. A big thank you to Mrs Wilson for training them and to our parents and friends for supporting the chidlren. Thank you to Steve and all the staff at Starbucks, for their invitation and kindness to our pupils and staff. 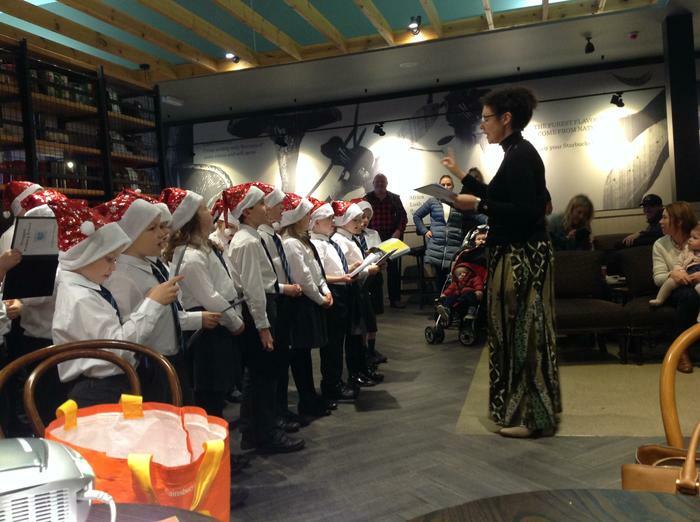 Well done to our choir made up of pupils from P4,5 and 6 who performed so very well at Starbucks, Antrim on Thursday. A big thank you to Mrs Wilson for training them and to our parents and friends for supporting the children. Thank you to Steve and all the staff at Starbucks, for their invitation and kindness to our pupils and staff.